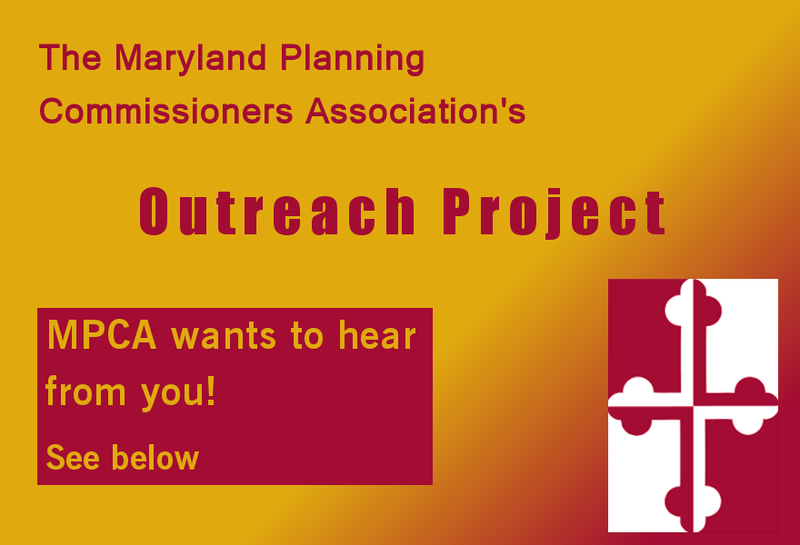 In a July 17th article in Maryland Matters, the Maryland Planning Commissioners Association’s (MPCA) Outreach Project was highlighted. This project is an effort to listen to stakeholders so that Maryland’s planning community can best meet the needs of local jurisdictions. The MPCA is a statewide, nonprofit educational organization of municipal, county and regional planning commissioners and boards of zoning appeals members. MPCA members work to improve the quality of life for all Marylanders through planning, environmental protection, historic preservation, and growth management. The Outreach Project aims to listen to local planning commissioners, boards of zoning appeals members, historic preservation commission members, and other planning stakeholders so that MPCA can tailor their assistance and training opportunities to serve local citizen planners. The [July 12th Salisbury] focus group meeting is part of a larger MPCA outreach project that began in June, which seeks to listen to stakeholders so that Maryland’s planning community can best meet the needs of local jurisdictions. “They were sharing similar concerns and similar solutions that other staff members and planners were having in local communities,” said Joe Griffiths, a local assistance and planning manager for the Maryland Department of Planning. Griffiths, who hosted the meeting, asked attendees and local planners about their concerns with their jurisdictions and what steps the state could take to better help localities. Communication was one major theme express by local city planners at the meeting. Griffiths and Regional Planning Director Trac[e]y Gordy took notes and suggestions from the focus group discussion panel throughout the meeting. “There’s a great deal of need, especially in our municipalities, because most of our municipalities do not have formal planning staff so they do rely on the state for technical assistance,” Gordy said. The MPCA is hosting four more focus group discussions through August. These are being held in Allegany, Baltimore, Montgomery, and Queens Anne’s Counties. Visit the outreach website for more information and to RSVP. The meetings are from 5-7 p.m.
“We want to come out to communities and hear not only what kind of technical assistance we can provide, but how we can communicate better too,” Griffiths said. Please read the full article at Maryland Matters: “As State Planners Work to Help Their Local Counterparts, Communications is Key”.